[Anti-skid Design & PVC Soft Rubber] Anti-skid Design provides solid and secure support for you standing on car doorstep folding ladder. 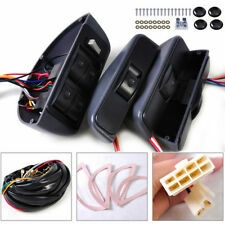 Aluminum Hood Release Latch Handle Repair Kit Black For Honda Civic 1996-2011 US. Land Rover Freelander Base 2002 V6 2.5L Sport Utility Rear Left. Land Rover Freelander HSE 2002-2005 V6 2.5L Sport Utility Rear Left. Land Rover Freelander S 2002-2005 V6 2.5L Sport Utility Rear Left. Land Rover Freelander Base 2002 V6 2.5L Sport Utility Rear Gate. Land Rover Freelander HSE 2002-2005 V6 2.5L Sport Utility Rear Gate. Land Rover Freelander S 2002-2005 V6 2.5L Sport Utility Rear Gate. Land Rover Freelander Base 2002 V6 2.5L Sport Utility Rear Right. Land Rover Freelander HSE 2002-2005 V6 2.5L Sport Utility Rear Right. Land Rover Freelander S 2002-2005 V6 2.5L Sport Utility Rear Right. Land Rover Freelander S Series I 2002-2005 V6 2.5L Sport Utility Rear Left and Right. 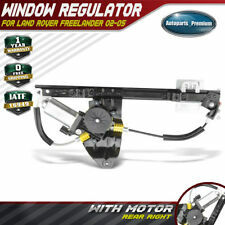 Land Rover Freelander SE Series I 2002-2005 V6 2.5L Sport Utility Rear Left and Right. 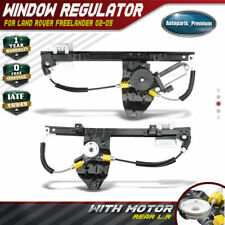 Land Rover Freelander HSE Series I 2002-2005 V6 2.5L Sport Utility Rear Left and Right. Land Rover Freelander S Series I 2002-2005 V6 2.5L Sport Utility Rear Left. Land Rover Freelander SE Series I 2002-2005 V6 2.5L Sport Utility Rear Left. Land Rover Freelander HSE Series I 2002-2005 V6 2.5L Sport Utility Rear Left. OE Number: CUH000023, RO1351100, LR006371. Land Rover Freelander S Series I 2002-2005 V6 2.5L Sport Utility Front Right. Land Rover Freelander SE Series I 2002-2005 V6 2.5L Sport Utility Front Right. Land Rover Freelander HSE Series I 2002-2005 V6 2.5L Sport Utility Front Right. Land Rover Freelander S Series I 2002-2005 V6 2.5L Sport Utility Rear Right. Land Rover Freelander SE Series I 2002-2005 V6 2.5L Sport Utility Rear Right. Land Rover Freelander HSE Series I 2002-2005 V6 2.5L Sport Utility Rear Right. Land Rover Freelander S Series I 2002-2005 V6 2.5L Sport Utility Front Left and Right. 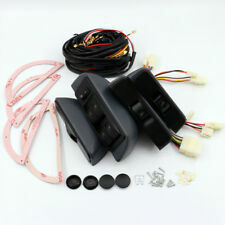 Land Rover Freelander SE Series I 2002-2005 V6 2.5L Sport Utility Front Left and Right. Land Rover Freelander HSE Series I 2002-2005 V6 2.5L Sport Utility Front Left and Right. OE Number: CUH000033. Land Rover Freelander S Series I 2002-2005 V6 2.5L Sport Utility Front Left. Land Rover Freelander SE Series I 2002-2005 V6 2.5L Sport Utility Front Left. Land Rover Freelander HSE Series I 2002-2005 V6 2.5L Sport Utility Front Left. 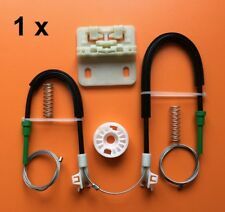 Window Regulator Repair Kit Land rover Freelander (97-06) Rear Right. • Solve any problems with you in a good way after communication. OE Number: CUH000023. Land Rover Freelander S Series I 2002-2005 V6 2.5L Sport Utility Front Right. Land Rover Freelander SE Series I 2002-2005 V6 2.5L Sport Utility Front Right. Land Rover Freelander HSE Series I 2002-2005 V6 2.5L Sport Utility Front Right. 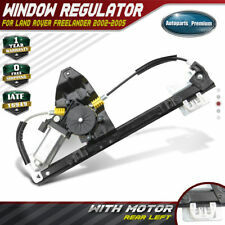 Window Regulator Repair Kit Land rover Freelander (97-06) Rear Left. • Solve any problems with you in a good way after communication. 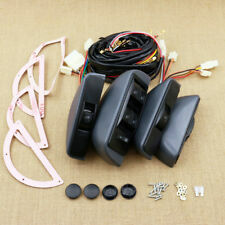 OEM Number: CVH101212. Land Rover Freelander S 2002-2005 Series I V6 2.5L Sport Utility. Land Rover Freelander SE 2002-2005 Series I V6 2.5L Sport Utility. Land Rover Freelander HSE 2002-2005 Series I V6 2.5L Sport Utility.